With two games done in Japan. 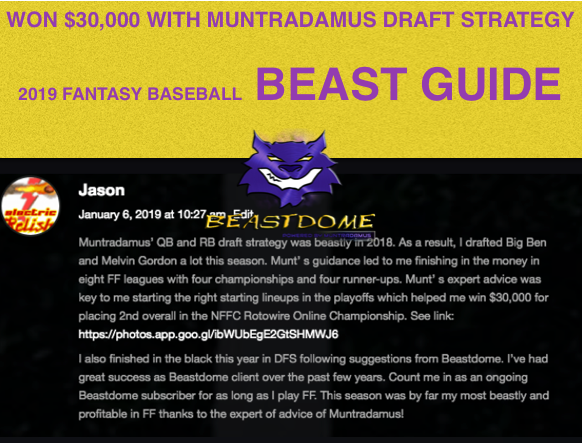 You would have already been dominating with the BEAST DOME Draft Strategy. Hunter Strickland was a late round target mentioned in the Draft Strategy as one of the 5 cloers to Draft, and he is paying off already with TWO SAVES in two games. When players are being drafted in the 21st Round of the NFBC Draft where 1st Place wins $125K. I of course have the perfect Draft Strategy for you to dominate and take a BEAST in the 21st Round. +31 Spots Higher than any Expert. 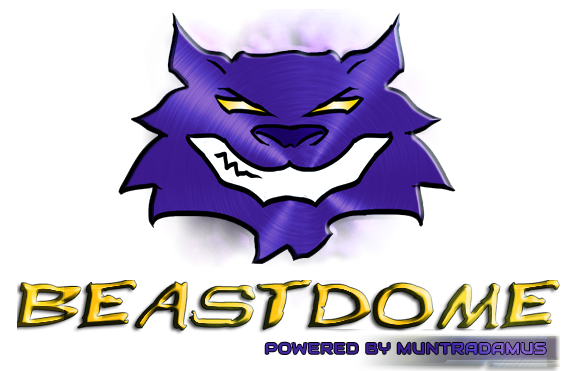 TEAM BEAST DOME will be followed all season (Team release after Opening Day). 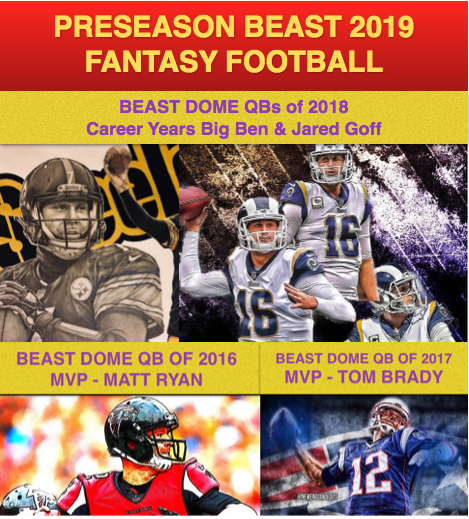 The Draft Strategy is perfect, the articles and videos I put out for you can win you the Championship! If you truly believe in the BEAST, all it takes to get all my SP and OF Rankings is to believe. Signup for a Package, and lets let the magic unfold.